The relevance of the discussed issue is caused by the need to detect a new gold ore deposits within the Yenisei ridge to replenish the mineral resources of gold ore in Russia. The main aim of the study is to explore the features of geological structure and gold ore mineralized zones of ore occurrence Yuzhnoe in order to forecast gold ore bodies, and to substantiate the continuation of geological exploration. The prospecting is realized by the express method of prospecting of gold ore deposits in difficult mountain-taiga landscapes using a complex of lithogeochemical sampling for secondary dispersion halos, schlich, point and trench sampling; spectrochemical analysis for determination of gold content, ICP-MS, atomic-and-absorption, X-ray phase analysis and isotope-geochemical methods are used. The complex of prospecting methods allowed to reveal the ore-controlling zone of fold-discontinuous deformations and localize within it the ore occurrence Yuzhnoe. This ore occurrence is located at the south-eastern part of the Sredne-Ishimbinskaya area in the zone of dynamic influence of Ishimbinskiy deep fault system. The gold ore mineralized zones are revealed within the ore occurrence. They are presented by a series of lode gold stockwork subparallel bedding zones with low average gold content. A detection of gold ore bodies is forecasted within the most wide and lengthy zone Central`naya. Continuation of geological exploration is recommended. A comparison of the ore occurrence with model objects is carried out. A set of common criteria and indicators of ore occurrence with lode gold-sulfide deposits of the Yenisei ridge - Olimpiadninskoye, Veduginskoye, etc. and with «carlin» type deposits is established. For the first time in the region the gold ore mineralized zones in carbonate-terrigenous carbonaceous sediments of kartochki and aladyinskaya series of the Middle Riphean are detected. Perspectives of gold-bearing mineralization of the eastern slope of the Yenisei ridge are defined. the eastern slope of the Yenisei ridge, the gold ore occurrence Yuzhnoe, aladyinskaya and kartochki series, gold-bearing mineralized zones. IntroductionVast majority of gold deposits in the Yenisei ridge is localized in the tuffaceous- carbonate-terrigenous flyshoid carbonaceous sediments of Lower-Middle Riphean (udereyskaya, gorbilokskaya, kordinskaya series) and Lower Proterozoic (penchenginskaya series) . There are two main geological and economic types of deposits: gold-sulphide- quartz (gold-bearing mineralized zones with vein-veinlets and vein-disseminated deposits - Olimpiadninskoe, Veduginskoe, Blagodatnoe, etc.) and gold-(low-sulfide)- quartz (veins and systems of veins - Sovetskoe, El’dorado, Ayakhtinskoe, Vasil’yevskoe deposits, etc.) . Structurally almost all gold ore deposits of the Yenisei ridge belong to the belt of SSW orientation width of 40 km between Tatarskiy (from the West) and63Вестник РУДН, серия Инженерные исследования, 2016, № 3Ishimbinskiy (from the East) “long-lived” deep ore-controlling faults. The gold-(low- sulfide)-quartz type deposits predominantly “gravitate” to the zone of the Ishimbinskiy fault and the gold-sulphide-quartz - to exocontacts of massive granitoid intrusions within the zone of dynamic influence of the Tatarskiy fault .Prospecting for gold ore mineralization realized by FSUE TsNIGRI within the Sredne- Ishimbinskaya area located in the eastern part of Yenisei ridge demonstrates the perspectives of detection of gold ore deposits in the another lithologic and stratigraphic layer (upper than aforenamed) (fig. 1). The research carried out in the period from 2013 to 2015 years has revealed a new type of gold-mineralized zones localized in carbonaceous carbonate- terrigenous sediments of kartochki-aladyinskaya and potoskuyskaya series of the Upper- Middle Riphean -the Yuzhnoe gold ore occurrence (fig. 2).The main objective of the research was localization and evaluation of forecast resources of gold ore by P2 category. The author of this article have been the field team-leader and the executive in charge. Under his guidance an entire complex of exploration and post- processing of the data set were carried out. The employees of the FSUE TsNIGRI have taken part in the research - S.G. Kryazhev (Head of the department of mineralogy and isotope geochemistry), B.S. Zelikson (Researcher), A.V. 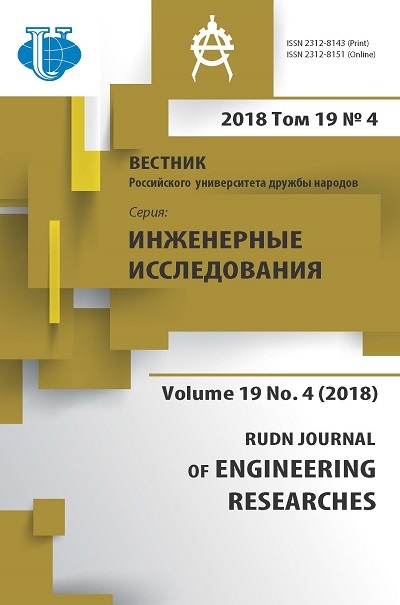 Kurmaev (second categoryengineer), S.S. Dvurechenskaya (senior researcher) et al.Fig. 1. Geographic-administrative map of the survey area:1 - railway lines; 2 - auto roads: a) I class, b) ground;3 - contours: a) of the Sredne-Ishimbinskaya perspective area,b) of the gold ore occurrence Yuzhnoe64Mansurov R.Kh. Gold-bearing mineralized zones of the Yuzhnoe ore occurrence and its comparison...Fig. 2. Overview scheme of the central and eastern parts of the Yenisei ridge (compiled with using data of OAO «Krasnoyarskgeols’emka»):1-7 - stratified formations: 1 - quaternary sediments; 2 - carbonate-terrigenous calcareous- dolomitic-siltstone-sandstone variegated complex (nemchanskaya (Vnm), pod’’emskaya (Vpd), suvorovskaya (Vsv), moshakovskaya (Vms), chistyakovskaya (Vcv), aleshinskaya (Val) series);3 - carbonate-terrigenous calcareous-sandstone-siltstone-schist complex (chividinskaya (R3cv), kar’yernaya (R3krr), lopatinskaya (R3lp) series); 4 - flysch carbonate-terrigenous carbonaceous calcareous-sandstone-schist complex (sukhokhrebtinskaya (R3sh), gorevskaya (R3grv), moryanikhinskaya (R3mr), dashkinskaya (R3ds), nizhneangarskaya (R3na), mokrinskaya (R3mk), rybinskaya (R3rb), boreminskaya (R3br), udoronskaya (R3ud) series); 5 - carbonaceous carbonate-terrigenousdolomitic-calcareous-phyllite-sandstone-schist complex (shuntarskaya (R3sn), potoskuyskaya (R3pt), alad’inskaya (R2al), kartochki (R2kr) series); 6 - carbonaceous volcanogenic-carbonate-terrigenous tuffaceous-calcareous-phyllite-sandstone-schist complex (udereyskaya (R2ud), gorbilokskaya (R2gr), kordinskaya (R2kd) series); 7 - carbonate-terrigenous crystalline-schist complex (penchenginskaya series (PR2pn)); 8 - intrusive formations: plagiogranodiorite complex (tatarsko-ayakhtinskiygranodiorite-plagiogranite (R3ta), teyskiy gneiss-granite (R2te)); 9 - faults: a) «long-lived» zones of faults,b) co-directional fault; 10 - gold ore deposits and ore occurrences: a) very large, b) large, c) average,d) ore occurrence; 11 - line-formed gold placers (in exploration, in exploit, wasted); 12 - contours of gold ore and placer ore units; 13 - contour of the Yuzhnoe gold ore occurrence; 14 - contourof the Sredne-Ishimbinskaya perspective area65Вестник РУДН, серия Инженерные исследования, 2016, № 3Methods of the researchThe exploration carried out according the methodology for prospecting of gold ore deposits in difficult mountain-taiga landscapes approved FSUE TsNIGRI . Research methodology provides a complex application of geological, geochemical and geophysical research methods. The first step of research was:studying of the prospective area by a series of basic profiles, including geological routes, lithochemical sampling for secondary dispersion halos, geophysical surveys (magnetic, gravity, electrical exploration) [1; 5];geochemical prospecting of dispersion flux (scale 1:50 000);geological routes (scale 1:25 000, 1:10 000). As a result we have localized an ore- controlling zone of fold-discontinuous deformations in the south-eastern part of the Sredne-Ishimbinskaya prospective area . The next step was a detailed research works within the zone of fold-discontinuous deformations:geochemical prospecting of secondary dispersion halos (sampling density 200×20 m),excavation of pits depth of 0,8 m with schlich and lithogeochemical sampling of deep-lying productive layer of diluvium (intervals between the pits are 20-40 m),excavation of pits to bedrock (intervals of 10-20 m between the pits).Research of this stage revealed a series of potential gold-bearing mineralized zones, with gold content more than 0,1 g/t in secondary dispersion halos.The last step of exploration was: trenching; drilling.The last stage of prospecting allowed to localize a several gold-bearing mineralized zones located in carbonaceous terrigenous-carbonate layers of the Upper-Middle Riphean - the Yuzhnoe gold ore occurrence.Results of the researchAs a result of the complex of prospecting works a wide (more than 1 km) gold anomaly (more than 0,01 g/t in the secondary dispersion halos) corresponding to the zone of fold- discontinuous deformations of the Yuzhnoe gold ore occurrence was detected (fig. 3). The zone is localized at the intersection of faults of several directions: north-east (the system of faults feathering to Ishimbinskaya deep ore-controlling fault zone), north-west (faults are sub-parallel to folding containing quartz veins and intensively hydrothermal- metasomatic modified rocks) .Within the ore-controlling zone of fold-discontinuous deformations the gold-bearing mineralized zones in the central and eastern parts of the Yuzhnoe gold ore occurrence are identified (fig. 4). Gold content within the gold-bearing mineralized zones is more than 0,1 g/t in primary as well as secondary dispersion halos. The mineralized zones are composed of silicified, sulfidized (pyrite), brown spar (ankerite) alteration of host rocks rocks of varying degrees of saturation by quartz, (muscovite)-ankerite-quartz veins and veinlets. These zones are localized in carbonate sediments (calcareous-shale, marl, metasomatic modified limestone, metasomatic modified dolomite) of kartochki and aladyinskaya series combined of the suhopitskaya series of the Middle Riphean. The width of the gold-bearing mineralized zones is more than 400 m, the length is more than 1000 m. The zones coincide with gold schlich halos in which, on average, we detected 8-10 gold grains in each schlich, maximum - 21 grains. The most frequent size of gold grains is relatively small - not more than 0,2-0,4 mm.66Mansurov R.Kh. Gold-bearing mineralized zones of the Yuzhnoe ore occurrence and its comparison...Fig. 3. Geological scheme of the Yuzhnoe gold ore occurrence and geological section by the profile I-II:1 - quaternary sediments; 2-5 - carbonaceous carbonate-terrigenous sediments of the Riphean: 2-3 - tungusikskaya formation, potoskuyskaya series: 2 - upper subseries: shales with interlayers of limestones, 3 - lower subseries: siltstone shales with interlayers of limestones and dolomites; 4-5 - sukhopitskaya formation: 4 - alad’inskaya and kartochki series combined: limestones partially marbled, calcareous dolomites with interlayers of carbonaceous calcareous shales, 5 - pogoryuyskaya series: siltstone shales; 6-11 - литологические обозначения lithological designation (in the geological section): 6 - limestones, 7 - limestones partially marbled, 8 - calcareous dolomites, 9 - carbonaceous calcareous shales, 10 - siltstone shales, 11 - quartzitic sandstones with interlayers of quartzites; 12 - geological boundaries:а) determined, b) supposed; 13 - faults: а) determined, b) supposed; 14 - ore controlling zone of foliation (in the scheme); 15-16 - gold ore mineralized zones: 15 - determined, 16 - supposed; 17 - potential gold ore zones; 18 - points of lithogeochemical sampling for secondary dispersion halos; 19-23 - excavations: 19 - pits depth of 0,8-1,0 m, 20 - bore pits: a) in the scheme, b) in the geological section, 21 - bulldozer trenches depth of 1,0 m, 22 - bulldozer trenches excavated to bedrock: a) in the scheme, b) in the geological section, 23 - drill-holes: a) in the scheme, b) in the geological section67Вестник РУДН, серия Инженерные исследования, 2016, № 3Fig. 4. Map of allocation of gold grates in the secondary dispersion halos at the ore occurrence Yuzhnoe.The legend is in the fig. 3Within the gold-bearing mineralized zones there are the epicenters of the highest gold contents (more than 0,3 g/t) in primary and secondary dispersion halos - gold ore zones, representing areas of saturation by veinlets and veins (8-12 or more veinlets and veins per 1 meter) of quartz, ankerite-quartz composition with intense dissemination of sulfides (up to 5-7%). The width of the gold ore zones amounts to 200 m, the length amounts to 800 m. The ore zones are sub-parallel to folding orientation and its characterized by linearity similar to stockwork morphology.On the periphery of the gold anomalies in secondary dispersion halos the anomalous fields of zinc (more than 0,007%) are detected. The gold anomalies correspond to the anomalous field of manganese (0,2%). The expansion of manganese is associated with widespread of brown spar alteration of host rocks (iron-magnesian manganese-containing carbonate minerals) within the ore-controlling zone of fold-discontinuous deformations, increasing in the gold-bearing mineralized zones. Brown spar alteration of host rocks68Mansurov R.Kh. Gold-bearing mineralized zones of the Yuzhnoe ore occurrence and its comparison...processes, probably, occurred during several stages directly related to ore-mineralization of the Yuzhnoe gold ore occurrence. The process of formation of auriferous brown spar alteration zones can be ore-preliminary. Gold deposits have been formed within these zones during reworking of auriferous rocks by following processes .Specialized schlich-geochemical study of schlich samples (electromagnetic and heavy non-magnetic fractions) shows that their average gold content is practically identical. But according to ICP-MS the concentration of As, Sb, Bi, W, Сu, Ni, Co, Pb, Zn, Mo in the electromagnetic fraction are three times higher than in the heavy non-magnetic one. The correlation analysis of each fraction determines practically identical structure of correlations in auriferous Au - As - Bi and accompanying Cu - Ni - Co - Mn associations. Furthermore there are significant positive correlations in the ranges of Na - K, Ca - Mn - Sr.According the results of isotope-geochemical study of the Yuzhnoe gold ore occurrence (by S.G. Kryazhev, department of mineralogy and isotopic geochemistry of FSUE TsNIGRI) the sulfur of pyrites is anomalously enriched in the heavy isotope (δ34S = +16.0…+19‰). So the gold ore mineralization of the Yuzhnoe gold ore occurrence differs from the known gold ore objects of the Yenisei Ridge. The enrichment of sulfur of sulphides in the heavy isotope can be correlated with auriferous layered zones of sulphide dissemination in terrigenous-carbonate sediments volume of the lode gold-sulphide Veduginskoe deposit (δ34S = +12.0…+14‰) and with gold ore objects of “carlin” type (δ34S amounts +18‰) [6; 8].Discussion of the resultsDuring the research the author has analyzed a numerous published data set about gold ore deposits and occurrences within the Yenisei ridge. The objective has been a detection of favorable for gold ore mineralization structural-substantial complexes and conditions of formation of gold ore deposits. As a results the forecast-prospecting (geological- prospecting) models of several deposits of gold-quartz (Ayakhtinskoe, Vasil’yevskoe, El’dorado), gold-antimony-quartz (Udereyskoe, Razdolinskoe), gold-(low-sulfide)- quartz (Titimukhta, Gerfedskoe, Sovetskoe) and gold-sulphide (Olimpiadninskoe, Veduginskoe, Blagodatnoe, Bogolyubovskoe, Tyradinskoe) geological and economic types have been composed. Among these types of the objects the most perspective to increase the mineral resource base of gold ore in the region are the deposits and ore occurrences of the gold-(low-sulfide)-quartz and the gold-sulphide types. They should be considered like a general group of gold ore objects with significant sulphide disseminated ores with low (1-3 g/t) gold content on the average and large (lode) volumes of ores . The gold-bearing zones of the Yuzhnoe gold ore occurrence, at this stage of research, should be referred to this group.In reviewing the general group of the gold-(low-sulfide)-quartz and the gold-sulphide types of deposits (including the gold-bearing zones of the Yuzhnoe gold ore occurrence) there are a series of common and combining forecast-prospecting features of these deposits (especially for objects of the gold-sulphide type). There are some of them:Localization in gentle parts of fold flanks complicated folding of higher orders;Position at the intersection of tectonic faults of several directions, including the system of faults feathering to Ishimbinskaya deep ore-controlling fault zone;69Вестник РУДН, серия Инженерные исследования, 2016, № 3Considerable spatial distance (more than 10 km) from large outcropping intrusive granitoid massifs; there may be hidden deep-seated intrusions;Location in chlorite subfacies of regional metamorphism of greenschist facies; localization in carbonate-dominated sediments;The linear stockwork morphology sub-parallel to folding ore zones (width of the mineralized zones is a few hundred meters) which are composed of silicified, brown spar (ankerite) rocks saturated various width transversal and conformable quartz, sericite (muscovite)-ankerite-quartz veins and veinlets with intense impregnation of sulfides (5-7 vol. %) with lower average gold concentration;Wide sustained secondary dispersion halos of gold (amount 0,1 g/t); at the same time, low arsenic content in primary and secondary dispersion halos;The ore-controlling zones of fold-discontinuous deformations comprising gold- mineralized zone are represented by high anomaly of induced polarization and low apparent resistivity.СonclusionThe most important scientific and practical result of the research is the identifying of gold-bearing mineralized zones located in carbonaceous carbonate-terrigenous sediments of kartochki-aladyinskaya and potoskuyskaya series of the Upper-Middle Riphean. For the first time in the region the perspectives of detection of gold ore deposits within the eastern slope of the Yenisei ridge are established. The gold-bearing zones within the Yuzhnoe gold ore occurrence are recommended to further study in order to identify the gold ore bodies. Consequently, we prognosticate the detection of large-dimension stockwork-type gold mineralization with lower gold concentration on the average.Further study requires to realize a more detailed analysis and synthesis of the data set obtained during the research. It is necessary to compose a forecast-prospecting model of the Yuzhnoe gold ore occurrence to carry out the prospecting for gold ore deposits of the same type. Copyright (c) 2016 Мансуров Р.Х.